The LP-380 provides a brilliant piano sound in a low-profile, slim design. The flat-top cabinet looks stylish even when the key cover is closed. The high-output amplifier and speakers accurately reproduce a realistic piano sound, while Korg’s flagship RH3 keybed enables expressive performances. The LP-380 is a digital piano that's designed with a style to match your interior decor. Merely 26 cm in depth, it's slim enough to fit anywhere. The wooden key cover is flat on top, allowing the instrument to blend elegantly into your room when you're not playing it. Keeping safety in mind, the cover uses a soft landing mechanism to ensure that it closes gently. The slim and stylish chassis projects a sense of stability. The RH3 keyboard, three pedals, and large-diameter speakers ensure a superb piano-playing experience and rich piano sound. As a musical instrument manufacturer, Korg has placed particular emphasis on the electric piano sounds. They not only reproduce the way that the tone responds to your touch, but they also reproduce the subtle noises that occur when you release a key. Six varieties are provided, covering the sounds widely used in pop music of the '60s and '70s, as well as some of the tones that are highly regarded in soul music. The Real Weighted Hammer Action 3 (RH3) keyboard reproduces the same playing experience as on a grand piano, with heavier response in the lower register that becomes lighter as you play upward. With improved response to repeated keystrokes, even rapid passages can be reproduced without impairing the expression of the performer. 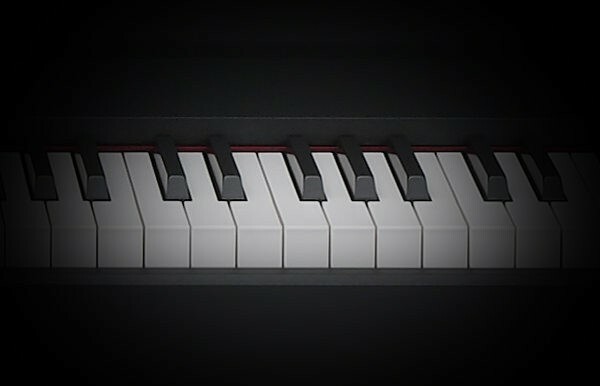 There's also a Key Touch Control function that lets you choose one of three levels to specify how your playing dynamics will affect the sound, allowing you to personalize the instrument to your own keyboard touch. With a view toward the environment, no lead is used in the hammers of the keyboard. The LP-380 includes all three pedals that are normally found on a concert grand piano, including support for realistic half-pedaling on both the damper and soft pedals. These pedals are affixed to the LP-380 in the perfect position for an authentic piano playing experience.